Newborn sessions are best done when baby is 3-12 days old, when they are most sleepiest and flexible. The earlier you contact me that better. Your session can be done in my studio at Five Points or I can travel to your home. If I come to your home, the session will be a lifestyle session, with little to no props. 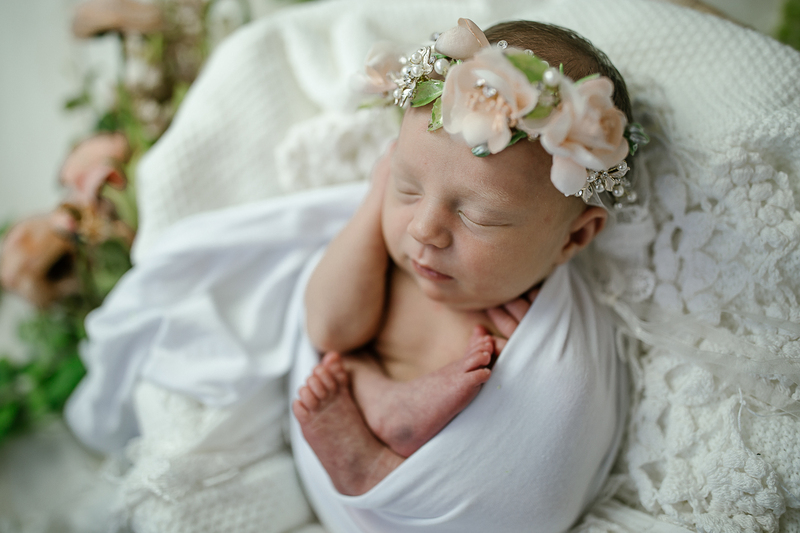 My newborn session are very relaxed and laid back. Siblings are also welcomed at the studio, I do have packages that include family images. You should expect the session to be anywhere from 1-4 hours long. We go at babies pace. We have to stop for several diaper changes and feeding breaks during a newborn session. Even though this session mostly focuses on your child, you are welcome to be as involved or not involved as you’d like. I just ask that one parent does stay with us for the duration of the session. Safety is my top priority when it comes to newborn sessions. I am a mother of 3 and know how important safety is for our new little people, so you will not see me pose or use dangerous props. I am also a minimalist when it comes to all my photography especially for newborns, which makes safety an easy rule to follow. For sessions in your home, I will most likely utilize your master bed for most of the family images, so please make sure your bed is made and night stand tables are cleared. If we are in my studio, please feel free to relax. You will not have to bring anything as of props unless you would like to. Sometimes parents bring those special items that were made for baby, your own items are definitely welcomed. To be able to stay true to my style please discuss with me beforehand what you will bring, so that I can prepare. Feel free to bring snacks and drinks.